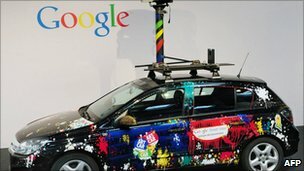 Google hopes the cars can eventually help reduce road traffic and cut the number of accidents. In a posting on the company's official blog, Mr Thrun said the self-driven cars had so far covered 140,000 miles on the road. They have crossed San Francisco's iconic Golden Gate bridge, negotiated the city's famous sloping streets, driven between Google offices, and made it around Lake Tahoe in one piece. Engineers told the New York Times that the forays onto the highways have been largely incident-free, apart from one bump when the car was reportedly hit from behind at a traffic light. In his Google blog post, Mr Thrun - professor of computer science and electrical engineering at Stanford University - insisted that safety was the "first priority" in the project. Routes are pre-planned, mapped first by real drivers, and local police are briefed in advance, he says. But he pointed to figures from the World Health Organization which show that more than 1.2 million people are killed each year on the roads, and said that number could and should be reduced. "We believe our technology has the potential to cut that number, perhaps by as much as half. "While this project is very much in the experimental stage, it provides a glimpse of what transportation might look like in the future thanks to advanced computer science. And that future is very exciting," he added. Google has rapidly branched out from its previous core business of search in recent years. The company already has significant interests in location services through its Google Maps and Google Street View offerings.